A good Speyside malt in a beautiful tin - unfortunately again without age, but for a proud price! Meh, not a very convincing dram. Tasted on 02/04/2017 in a Glenfiddich line-up (WB ID's 76463, 72490, 19148, 86462, 86461, in that order). Prickly alcohol at the start (which is weird for only 40% ABV). Mustier than the present 12yo. Nutty (almonds), vanilla, green apples, yellow raisins. A bit bland at first; diluted too much maybe? When swallowed vanilla comes forward, pear, ginger, almond again - going towards cashew nuts. Honied vanilla accompanied with dry woodiness. White pepper. Not a very long finish. The reproduction of the 1st Single Malt, issued by the distillery in 1963. Nothing extraordinary here, more a collection item to me. Tasted at Whisky Live Paris 2015. Quite similar to the classic 12yo. A bit "new-maky" if I can say so. Not weak at only 40%. Pears. It's not very complex and a bit too much alcoholic. Weak mouthfeel, on apple and pears, and that's quite all. Nothing bad here but this is too classic and for me too similar to the 12yo. dark fruits bring some more depth and richness. 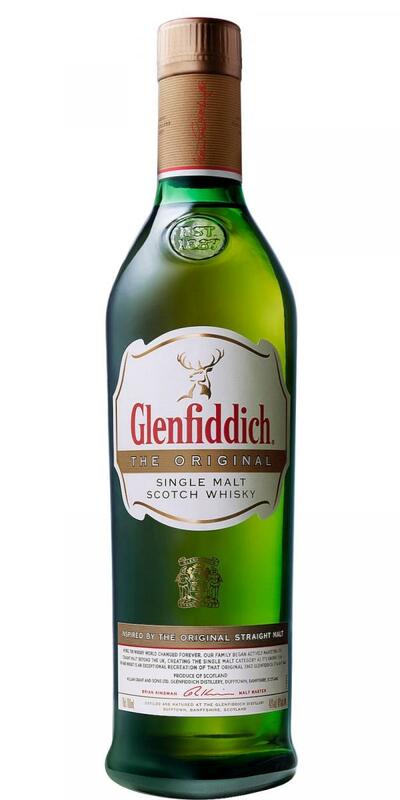 I thank Markus Heinze (Brand Ambassador for Glenfiddich in Germany) for the sample! malt, oatcakes and tender treacle, with gentle spiced oak in the back. lingering flavours of oatcakes and crisp malt. Vibrant and intense. The finish is medium long, warm and spicy with cinnamon, gentle allspice, hints of cloves, and dry oak. cinnamon. The finish is warm, spicy with medium length.